How digitally competent is your online jewelry store? Early this year, the Digital IQ Index: Watches & Jewelry 2018 by L2inc – an intelligence business firm that focuses on the digital competence of different consumer brands – ranked Tiffany and Co. and Cartier as ‘geniuses’ among luxury jewelry and watch brands in terms of digital competence. The two brands are recognized for its exemplary digital performance and social media engagements. Tiffany & Co. was lauded for its consistent engagement on Instagram while Cartier was recognized for its performance and engagements on YouTube and Instagram. It was also lauded for its online product pages and search engine strategies. While big brands are acknowledged for their digital investments, what are you doing to meet the digital expectations of jewelry consumers? Or…is it? 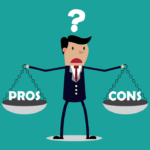 Is it really because jewelry ecommerce is an unfamiliar territory or because jewelry retailers are half-hearted in embracing the expectations of modern consumers? In this post, we’ve outlined three digital and/or ecommerce investments that you could try incorporating into your online jewelry store to attract the modern consumers of jewelry and watches and meet the online shopping experience they expect and demand. Read on and get ready to take a leap! An omnichannel retail is your path to success. Statistics collected by the National Jeweler say consumers who used four or more channels before buying an item end up spending an average of 9% more in-store and 10% more online if they used multiple channels compared to a one-channel interaction. If you’re an in-store retailer, here’s what you need to know. 69% of polled jewelry consumers stated that they research items on the jeweler’s website before making a purchase in-store. This was backed by a statistic which showed that consumers who researched online before making an in-store purchase, spent 13% more in-store. And the retailers have listened. In fact, omnichannel efforts are the top digital business initiatives for retailers, as reported in the State of Retailing Online 2018 by the National Retail Foundation and Forrester. An in-store kiosk that enables your buyers to order items that are not sold in your store or that branch and/or currently not in stock and the buyers will then have the item shipped to their homes. This is also good in encouraging advance orders for jewelry collections that you’re yet to launch. Monica Rich Kosann is one of the jewelry brands who use this concept. They provide touchscreens that allow buyers to shop jewelry pieces beyond what’s available in the store location. It also lets them personalize their purchase by choosing their preferred design and metals and see how the finished item would look so they can compare. It enables the online shoppers to reserve online the items they want to buy and then touch it, try it on, and process the payment in-store. Click and Reserve makes the buying activity flexible for buyers while giving them an assurance of availability. In addition, it’s also a way to attract impulsive in-store buying. Swarovski’s Click & Collect is kind of similar to this concept; however, theirs requires you to make a payment online before you can collect your item from one of their Collect boutiques. Depending on the type of mobile applications, others create one to give buyers the freedom to design and personalize their orders without leaving their homes. After all, clienteling and personalization is the second digital business initiative prioritized by retailers as stated in the State of Retailing Online 2018. According to the 2018 Global Consumer Insights Survey by PwC, the percentage of purchases by mobile commerce rose from 7% to 17% and will likely surpass purchases made using a personal computer (PC). This is further backed by a statistic which shows that despite the increase in in-store shopping from 40% in 2015 to 44% this year, buyers rely heavily on the internet before making a buying decision. 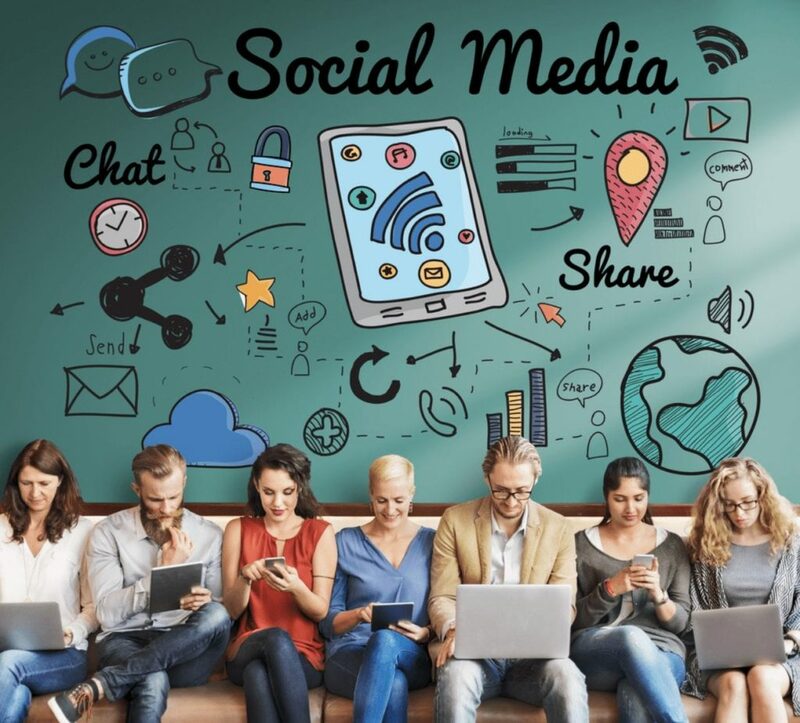 In fact, first in ranking or 37% of consumers used social media to get inspiration for purchases while the retailer websites ranked second with 34% of polled individuals favoring it. These statistics almost show that if you’re not on social media, you don’t exist; however, be thorough about the content and/or sales messages you’re throwing out there. Your content must get your target online buyers to look at you so you can drive foot traffic into your physical store. Perishable videos are those temporary content such as your jewelry video for introducing your new jewelry collection or other jewelry sales promo videos and products. Meanwhile, the nonperishable videos are those videos that don’t expire and are always relevant like your About Us and testimonial videos. Videos are important to prolong the amount of time buyers spend on your website, especially that 88% of them don’t want to hear your sales talk unless they’re ready to make a purchase. Also, videos get more shares and other forms of engagements on social media pages, which opens more sales opportunities for you. Products on a white background may not always do well on social media pages because it looks to salesy and people on social media are still on “looking for inspiration” stage. 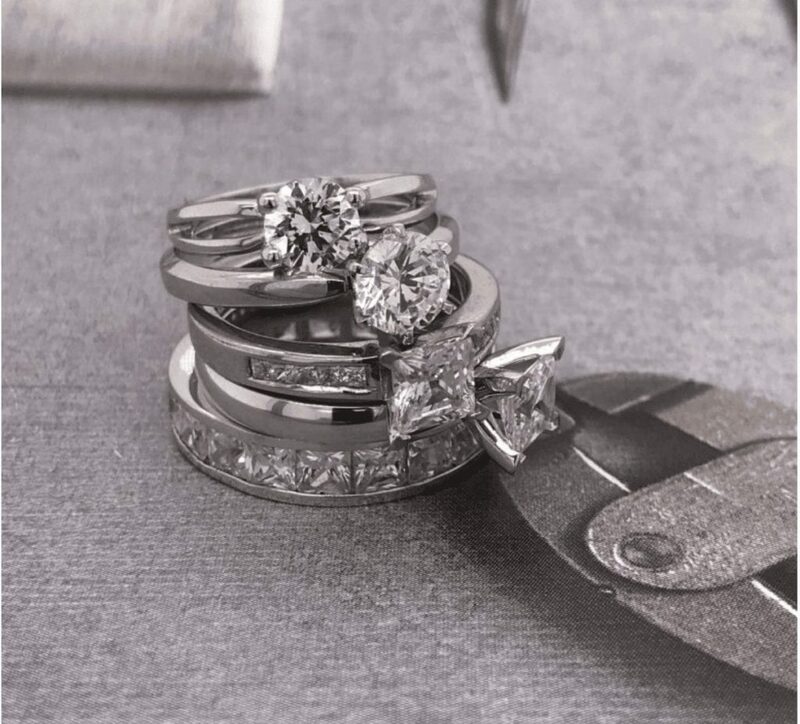 They may or may not buy; hence, it’s critical that your jewelry images are visually appealing. To do this, you can simply photograph your jewelry piece on an artsy-looking background, if this is your preference, but don’t limit your imagination. There are so many background ideas you can choose from like the ones we’ve discussed here. In the image above, we just printed off a background with tools to create an impression that we’re in a goldsmith’s workshop. The background paper was put inside the GemLightbox along with the stack of rings, and we’re good to click and capture. It’s that easy! To watch how we photograph our jewelry pieces for social media, click here. 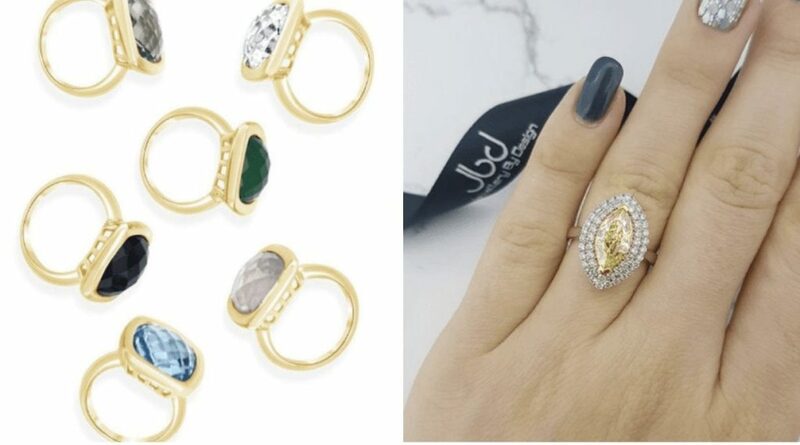 Other types of possible social media sites are branded shots like the one from the Jewellery by Design (right) and composition shots like those colorful gemstone rings from Elverd Designs (left). See the images below. As we’ve mentioned here before, user-generated jewelry content can improve your conversion rate by 2.4X. 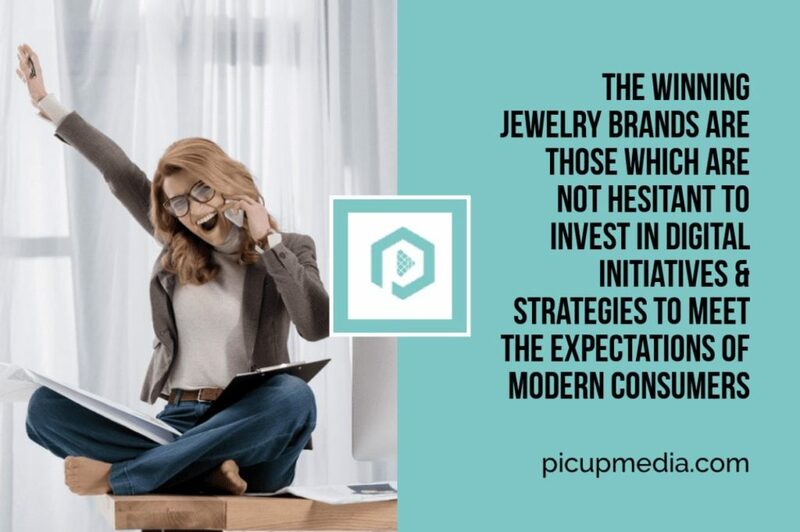 Aside from that, it’s also another way to boost your social media presence as it would encourage your buyers to post a photo of themselves wearing your jewelry pieces. When other potential buyers see real people wearing your items, it boosts your brand’s credibility and buyers feel confident transacting with you. Take a look at the example below showcasing Tatty Devine’s art jewelry. Lastly, in terms of fulfillment, faster shipping is the top priority for retailers’ digital business this 2018. 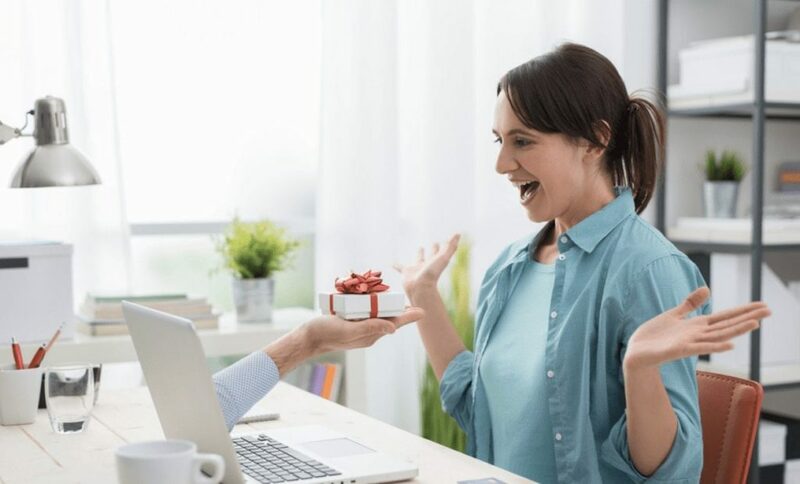 This was backed by PwC’s 2018 Global Consumer Insights Survey, which showed that buyers are more concerned about delivery method and speed. In fact, more than 40% of polled online buyers said they wouldn’t mind paying an extra charge for same day delivery while older buyers would prefer having the freedom to pick their delivery times. This opens a sweet spot for retailers in varying sectors and will test their digital fitness and innovativeness – two key qualities they need to meet the digital expectations of modern consumers. In summary, the key digital and ecommerce investments you must try for your online jewelry store are the omnichannel initiatives, social media presence, and faster shipping. Other jewelers, as shown above, have already faced the challenge. With consumer habits changing rapidly, you don’t have time to get distracted. Eliminate your buyers’ pain points. Don’t swim against the current. Go where new consumer behaviors flow.